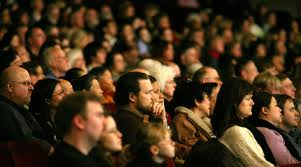 When you are an audience member, be a critical observer of the speaker. Watch the speaker’s body movement, gestures, and stage presence, and listen for voice inflections (changes in pitch and tone). What is the speaker doing right that is keeping your attention and engaging you? Even harder, what can be improved if he or she is losing your attention? Is there something distracting about the mannerisms, use of language, or lack of passion? Are you beginning to count the number of distracting filler words, such as “um,” “ah,” “you know,” and “like,” and is the speaker ending every sentence with “really?” and “right? !” Is the message obvious and carried through the presentation? Are there supporting stories? Is it believable? Has the speaker gained your trust and respect, and come across as genuine? You can focus on your own opportunities and target your observations of the speaker. For example, if you have trouble being concise put your critical-listening skills into play and see if the speaker is using an economy of words. You should also take notes for reference later. As a consummate observer, you will always be in learning mode, therefore in a constant state of improvement. The URL you entered is not a .mp3 file. “They” in this case is the organizer and the people who will be attending the function. Do you know if what you plan to say matches the theme of the overall program, convention, or event, or have you made assumptions? You should ask these questions ahead of time, to prepare yourself for the event: How long do I have? What time do I go on? Who is introducing me? Is the audience expecting humor? Is it a keynote address, or is it supposed to be educational? Is it a lecture, and how interactive is the audience expecting it to be? 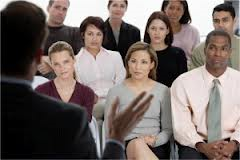 When speaking with the meeting organizer, you need to get a preview of what to expect. If the answer from the organizer is, “I don’t know,” then some homework has to be done by one or both of you. Do you know what the expected attendance is? Have you asked if other speakers will be there, since this could influence order and flow? As the speaker, have you done your own research on the organization? Is it possible to integrate some key pieces of information, like the organization’s history, into your presentation in order to establish an instant connection? Once you figure out what “they” want, then adjust your presentation accordingly.